Certain moves have been made. Still, we buy season tickets. This is a new team? For the Sox, a Cubs season. 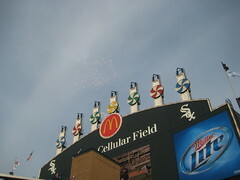 This entry was posted on Friday, June 1st, 2012 at 9:57 pm	and tagged with Chicago Cubs, Chicago White Sox, Season ticket, Sox, Sports, White Sox and posted in Baseball. You can follow any responses to this entry through the RSS 2.0 feed.